How amazing does this look? Would you ever guess that there are no grains used? At all? 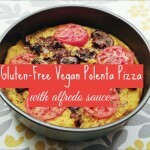 It’s basically ALL veggies and ALL protein! And the best part? I was able to put this together in less than 45 minutes, with two crying cranky kids scurrying around my feet (I feel like I deserve a medal…or at least some soy-free chocolate that won’t make me sick!). 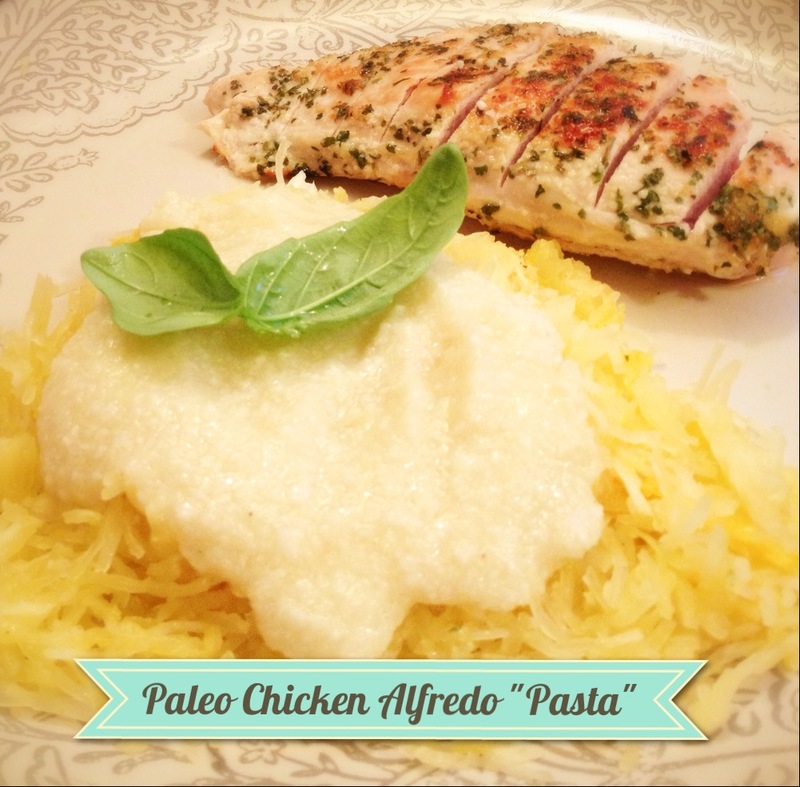 Fettucine Alfredo with no grains, no cream or cheese, and under 45 minutes? Get ready to hold on to your hat! 1. Preheat the oven to 350 degrees. Cut the spaghetti squash lengthwise and scoop out all the seeds and string. 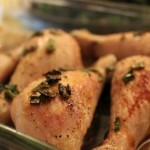 Drizzle in olive oil, sprinkle in garlic powder and place face down on a cookie sheet. Cook for 35 minutes. 2. While the squash is cooking in the oven, cook the chicken in olive oil on a cast iron skillet on LOW (essential to keep the chicken from burning). 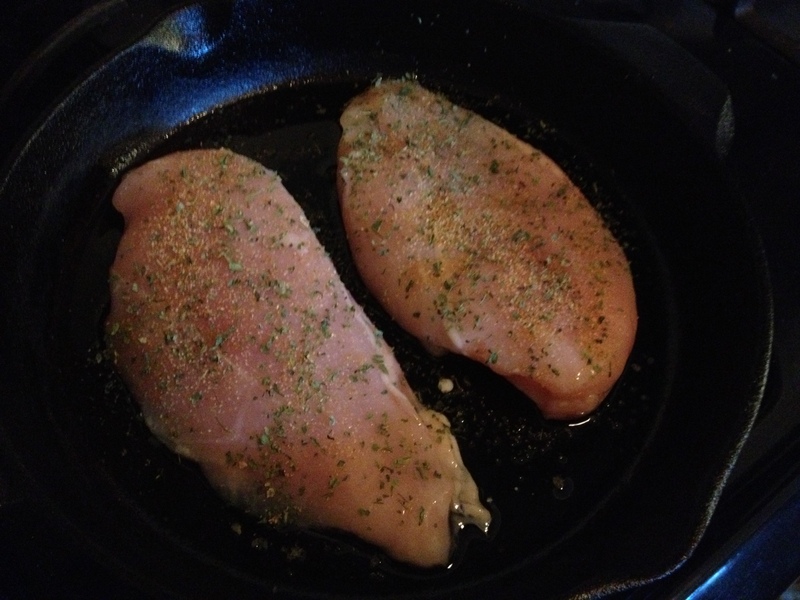 As the chicken is cooking, season the side that’s facing up with parsley and garlic salt (I like to do this rather than a seasoning rub BEFORE frying it….I am super queasy about touching raw chicken!). Cook for 10-12 minutes. 3. 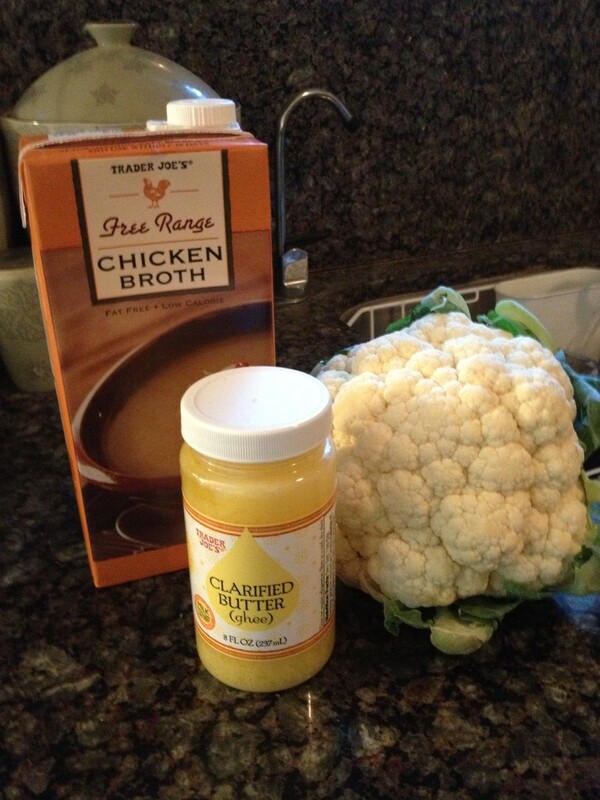 While both the squash AND chicken are cooking, boil the cauliflower heads and chicken stock for 10 minutes. 4. While the squash, chicken AND cauliflower are cooking (multi-tasking is every mother’s middle name! 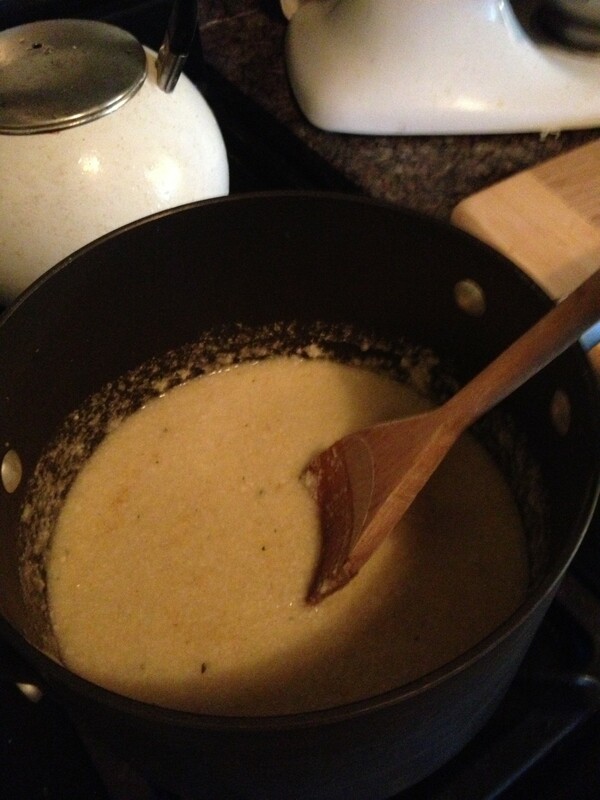 ), sautee the garlic cloves in the ghee. Don’t let it burn! 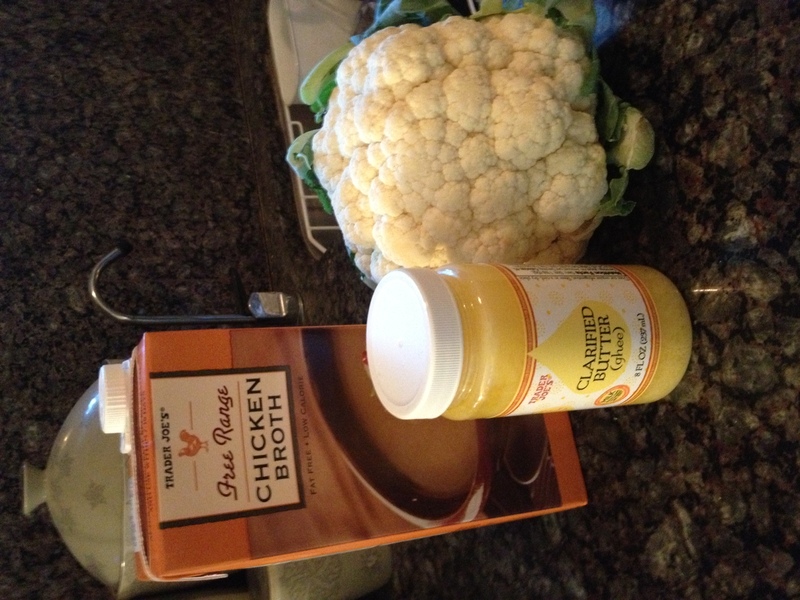 5.In small batches, transfer the cauliflower/chicken stock to a food processor and blend until smooth. Add the garlic and ghee. 6. 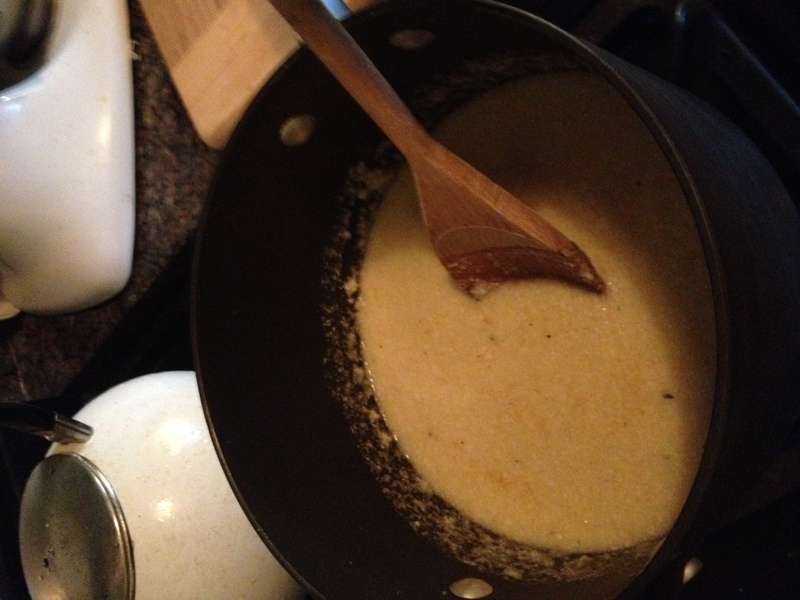 Add ALL of the creamy mixture back to the original pot, and season to your taste. Salt? Pepper? How much is all up to you! I tend to add these things, especially salt, AFTER I’ve served it up, so as not to overdo things. 7. Pull out the spaghetti squash and scrape them clean with a fork. The innards should come out looking like spaghetti noodles (it’s magic, I tell you!). 8. 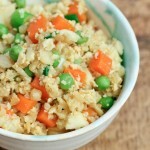 Serve it up and ENJOY your guilt-free veggies on veggies “pasta” dish!!! * If you REALLY want some pasta, you can buy some organic gluten-free rice pasta from Trader Joe’s for $1.99. Some fringe-Paleo people might even be okay with it! ** Ghee is a dairy product, but according to both GAPS and most Paleo research I’ve seen, it’s the easiest dairy to digest. Most people with dairy intolerances can eat butter and ghee without a problem.